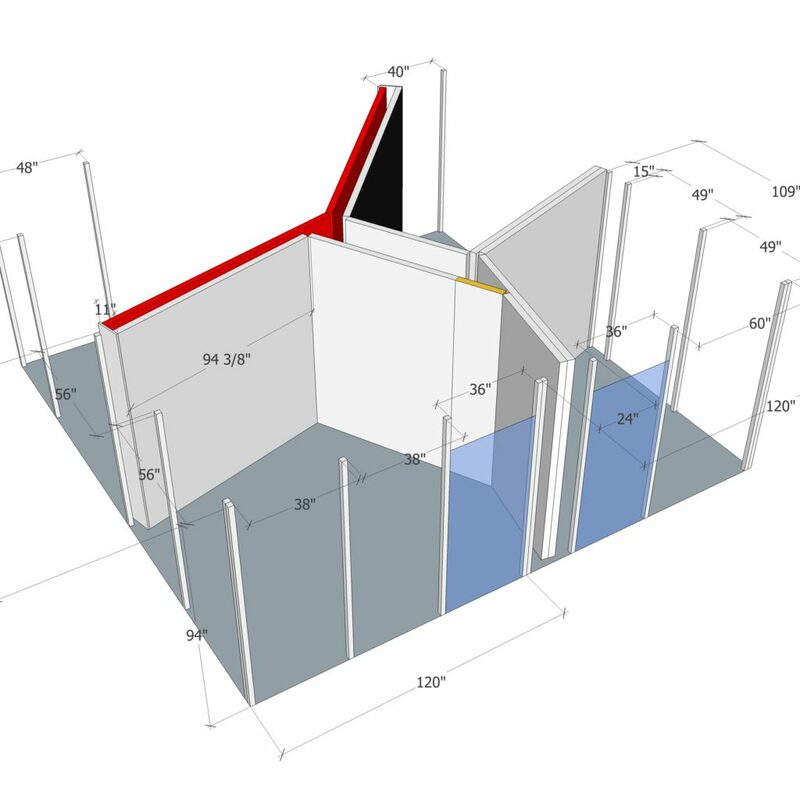 Project: Design and build an immersive booth experience that included four spaces: an interactive space, a demonstration area, and two conference rooms. 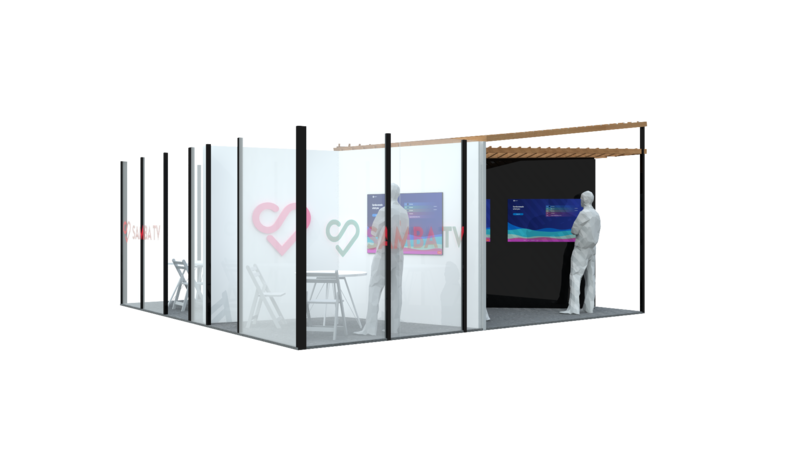 For the annual trade show, CES 2018, data company Samba TV worked with VVOX STUDIO to build their show booth. 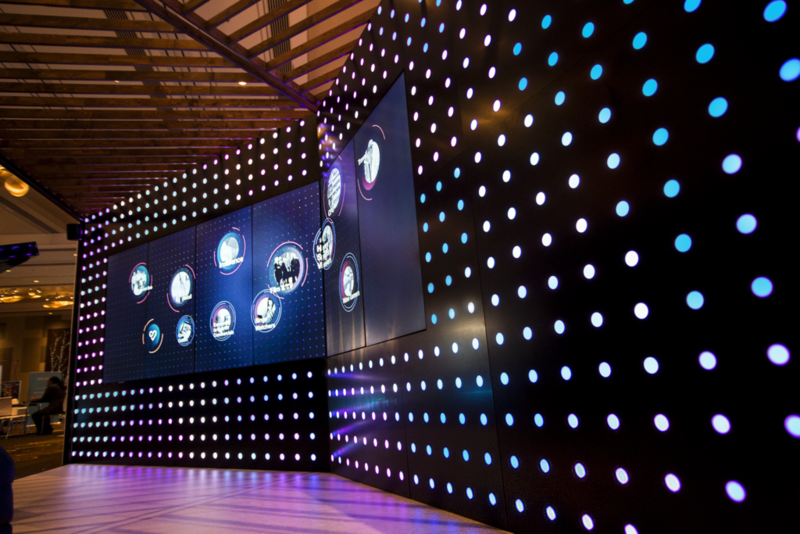 The booth consisted of four spaces, one of them a 20 ft video and a light wall displaying custom animated data visualization. This interactive wall was build to be modular and reused in other Samba TV locations. 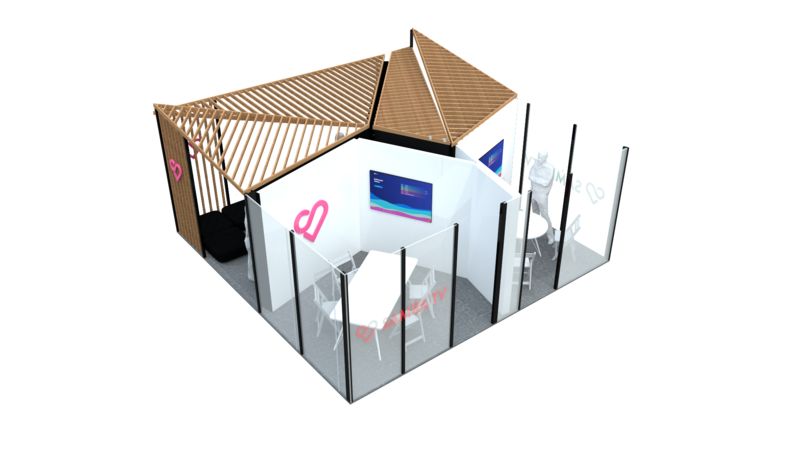 The booth gave space for all aspects of Samba TVs activities, from private meeting to demos, causal interaction and sales. Passerbys were prompted to interact with the interactive wall, which was both amusing and informational, familiarizing them with the power of Samba Tvs data. 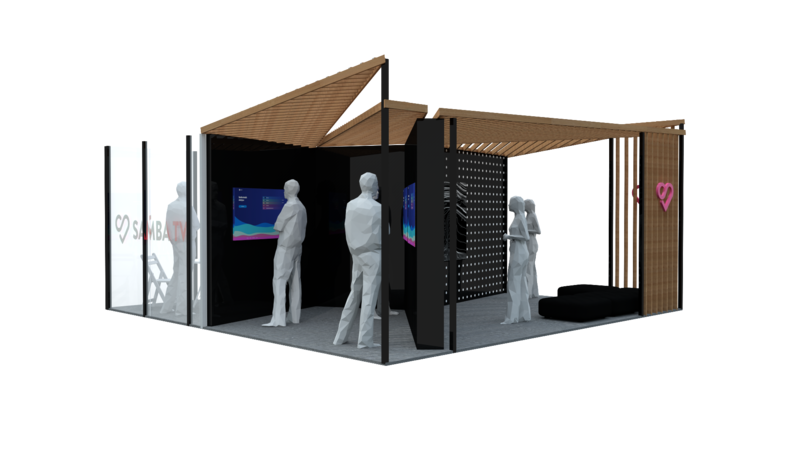 To create an immersive experience based on Samba TV data, VVOXSTUDIO designed and built an interactive area. It consisted of a 20ft long CNC-milled alucobond wall. 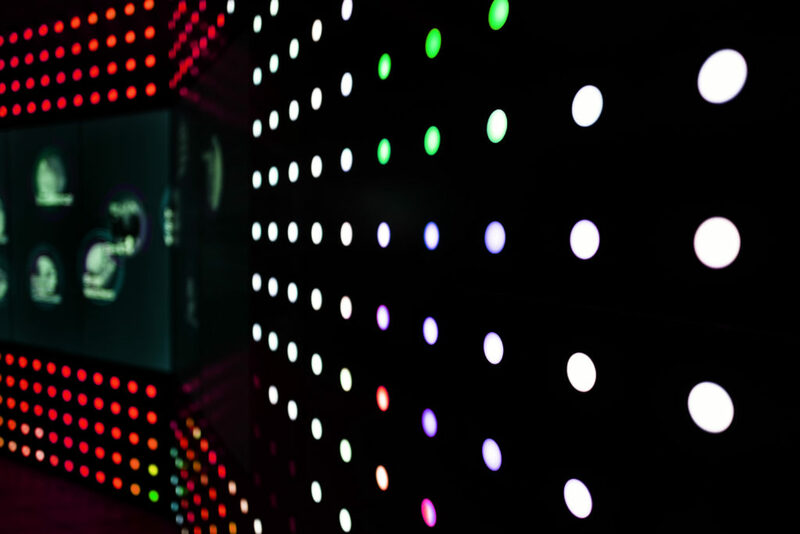 Inset into the wall were 546 LED dots, creating a magical 3832 pixels of colored lights. In the middle of the wall, five monitors were hung to create one seamless media screen. 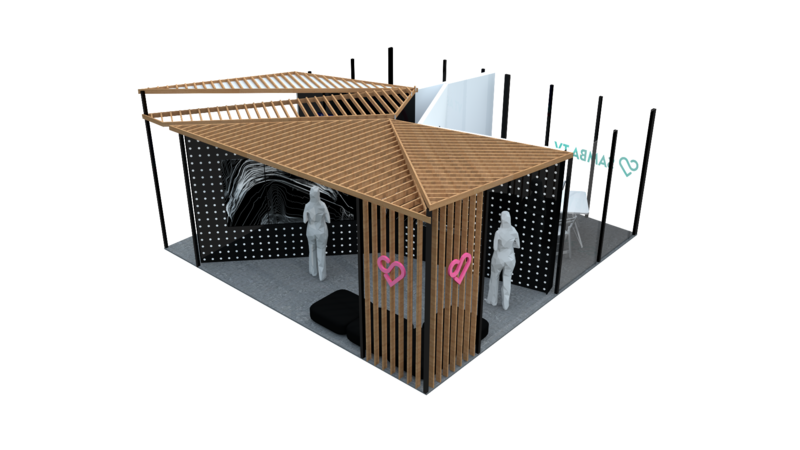 As well as being interactive, Samba TV wanted the booth to be multipurpose. To go with the interactive wall VVOXSTUDIO designed two conference rooms and a demo area. 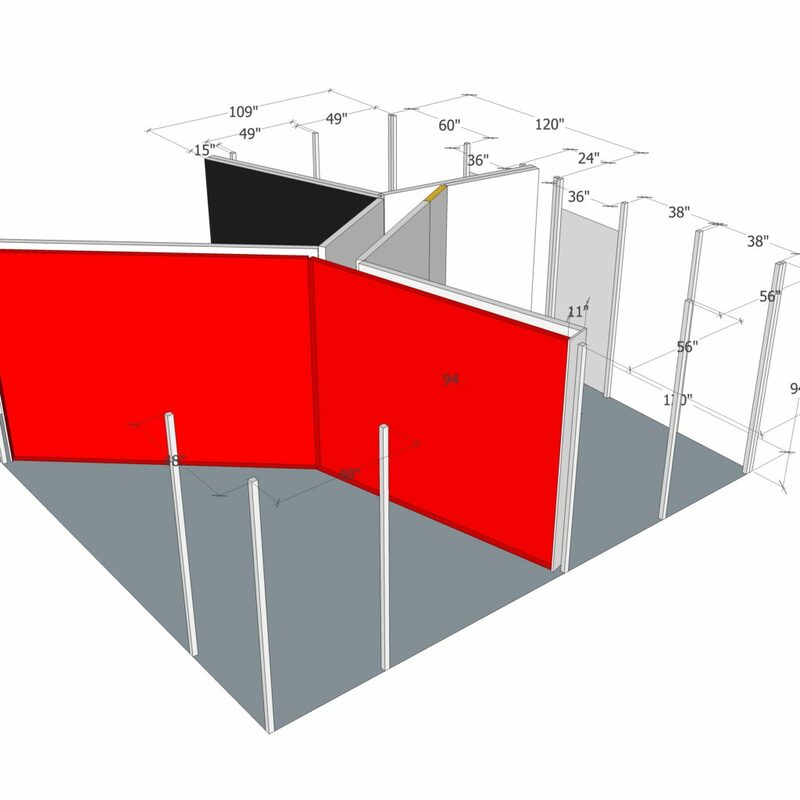 The booth was designed by VVOXSTUDIO, and the interactive wall built in-house. The conference rooms outside walls were made of frosted acrylic walls giving maximum privacy, but not blocking light. The demo area was equipped with three monitors for easy access to Samba TV platforms. Custom made logos and wall decoration was attached to the walls of the booth, together with CNC cut logos. This enforced maximum visibility and brand recognition. 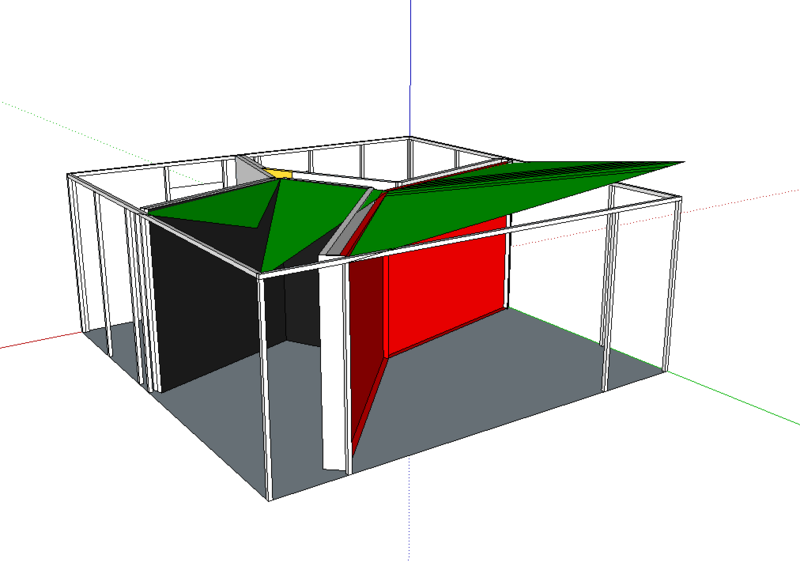 To make the booth even more unique it was covered with a parametric pinewood roof. © 2018 by VVOXSTUDIO. All rights reserved. Terms.